SKY ACCESS SCAFFOLDING offers comprehensive scaffolding services to private, commercial and local authorities throughout London. SKY ACCESS SCAFFOLDING prides itself on providing safe, artistic, neat and tidy scaffold structures. Our mission is to responsibly deliver a quality service by creating a strong and successful partnership with our customers. We provide high quality and innovative scaffolds, temporary roofs, and access solutions for homeowners, business and local authorities. We welcome, private individuals who want scaffolding for refurbishment works at their property. 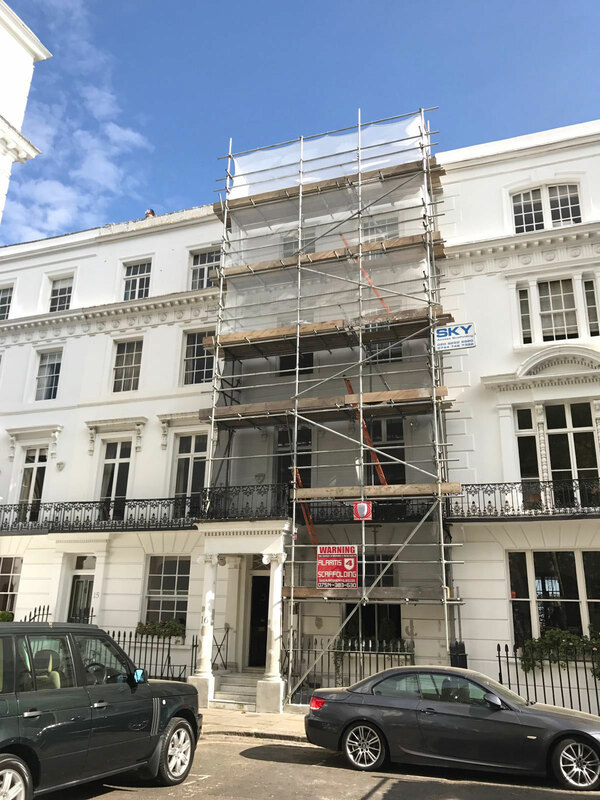 SKY ACCESS SCAFFOLDING assures you that there will be only minimal disruption to your house or your business while we erect and later dismantle any scaffold.We devote a great deal of time to the pre-planning phase to ensure that scaffold will be built properly within budget and time. We maintain a close relationship with our clients. We are committed to deliver exceptional customer services, value and safety. The health & safety of our staff and the public is of great importance to SKY ACCESS SCAFFOLDING. We have clear management arrangements in place for implementation of our declared health and safety policy. So, our scaffolding activities are risk assessed. • Affiliated with CITB (our team members are fully trained and comply with industry standards on scaffold stability). • Self provided safety equipment to ensure the safety of our workers and the general public. • Economical prices for both standard and bespoke solutions. • Scaffolding solutions delivered based on customer requirements. © 2018 Sky Access Scaffolding. All Rights Reserved. Powered By The Tech Service.